Megan te Boekhorst is an experienced communications and public relations professional and the founder of Sequoia Content Studio. Hailing from Canada’s West Coast but currently settled in Toronto, she’s passionate about strengthening small businesses and lifestyle companies through engaging, diverse content and strategic branding campaigns. She was named PR in Canada’s PR Person of the Year in 2018. 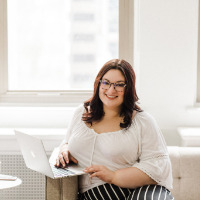 Megan has helped a wide range of clients and companies refine and elevate their brand with high-quality, impactful content. Prior to launching Sequoia Content Studio, Megan has held roles at Futurpreneur Canada, The FAT Paint Company and lululemon athletica. She has also cultivated valuable relationships with high-profile influencers like Alicia Winnett of Alicia Fashionista, Lauren McPhillips of This Renegade Love, celebrity interior designer Amanda Forrest and Jacquelyn Clark of Lark & Linen. Megan is no stranger to entrepreneurship and understands what it takes to run a business. In addition to Sequoia Content Studio, Megan is also the founder of In A Sequoia Living, The Mindful Pop-up and Pop-Up Photo Studio. Previously, she owned Karuna Body Care and founded the Vibrant Lives Foundation. Working with online influencers is a valuable way to improve brand awareness, improve your SEO, increase customer trust in your brand and strengthen the online engagement with your social media channels. But as social media constantly evolves, it can be difficult for new business owners to know where to start. To help, here are the key things you need to know in order to work with influencers to promote your brand. From a young age, many of us are encouraged to eat our greens and drink eight cups of water daily. Still, we often forget what we put on our body is just as important as what we put in it. Unfortunately, finding natural skin care is not as simple as walking into the fruits and vegetable section of your local grocery store. This is why, in 2015, Nitasha Goel opened up The Cure Apothecary. Technology changes are empowering Canadians to start side-businesses to supplement their income, which is helping to grow the economy. As we experience the ebbs and flows of our shifting work economy, it’s critical to know the trends and predictions in order to prepare for the future of work and stay ahead of the crowd. I've never shied away from the fact I'm a bigger woman. I cannot deny that I have curves. The junk in my trunk is obvious. I've been fat-shamed, and I've been fetishized. I've been told, "Real men like curves, and only dogs like bones," and I have found myself wondering, "What is a fake man?" and "Why do I really care?" Supporting Toronto's lifestyle brands to tell their story - and have it heard. Constantly developing my copywriting skills, branding, social media management and event coordination capabilities with the successful launch of my own brand: In A Sequoia Living. In addition, I created and opened ‘The Mindful Pop-up’ in support of The Vibrant Lives Foundation.